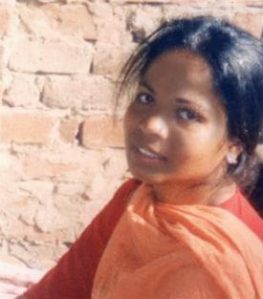 Minority Rights Group International (MRG) applauds Pakistan’s Supreme Court for upholding its earlier decision to overturn the conviction and death sentence of Asia Bibi, a Roman Catholic woman who spent eight years in prison facing execution on blasphemy charges. Bibi was sentenced to death in 2010 after a quarrel with two Muslim women who refused to drink water out of a container from which Bibi drank. When they demanded she convert to Islam, she refused, prompting a mob to later accuse her of insulting the prophet Mohammed. After a protracted legal battle, the Supreme Court acquitted Bibi at the end of October 2018. However, a review petition was filed by the cleric who had initially brought the complaint against her. Although Bibi was released from jail after the acquittal, she was later taken into protective custody, following violent demonstrations. ‘Bibi must now be allowed to reunite with her family and seek safety in a country of her choice. She has been dealing with this ordeal for ten years and she must not wait any longer to be free,’ says Castellino. Additionally, MRG calls on the authorities in Pakistan to exercise their duty to protect and investigate threats made against religious minorities and anyone involved in her case, including her lawyers and the Supreme Court judges.